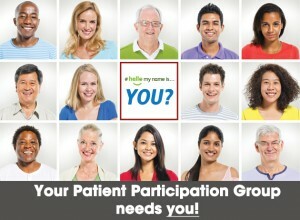 In response to your request and popular demand, on Thursday 2nd February 2017 at 7.00pm-8.00pm we will be holding a Patient Participation Group meeting – all patients are welcome and encouraged to attend. The purpose of this meeting is to re-establish a regular patient group that can contribute by way of representing the patients at Mollison Way Surgery, in matters that can help shape the care we deliver and to help us gather feedback, experiences and opinions, as well as to encourage health promotion and self care to our patient population. You do not need to register to attend this meeting, though our PPG meetings are open to Mollison Way Surgery registered patients only. Please speak to our Practice Management if you have any queries, concerns or special requirements.